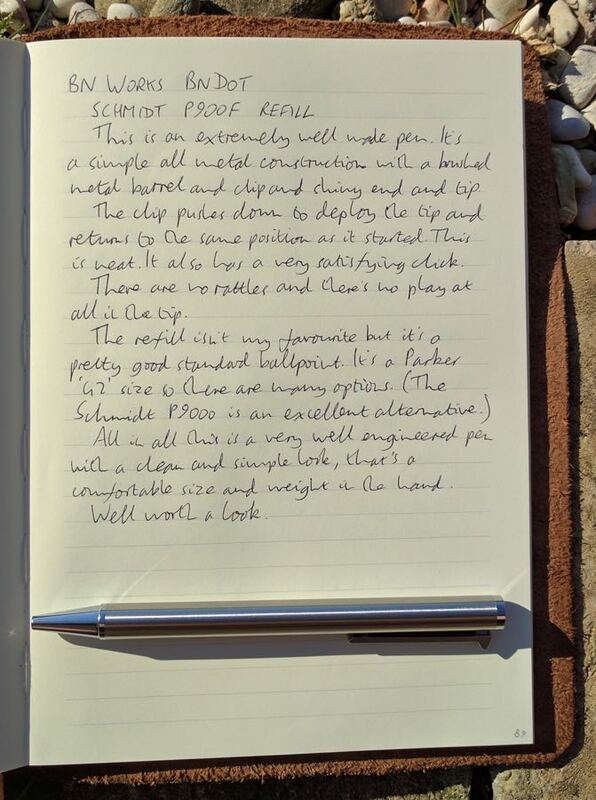 BN Works BNdot Ballpoint Pen Review – Pens! Paper! Pencils! 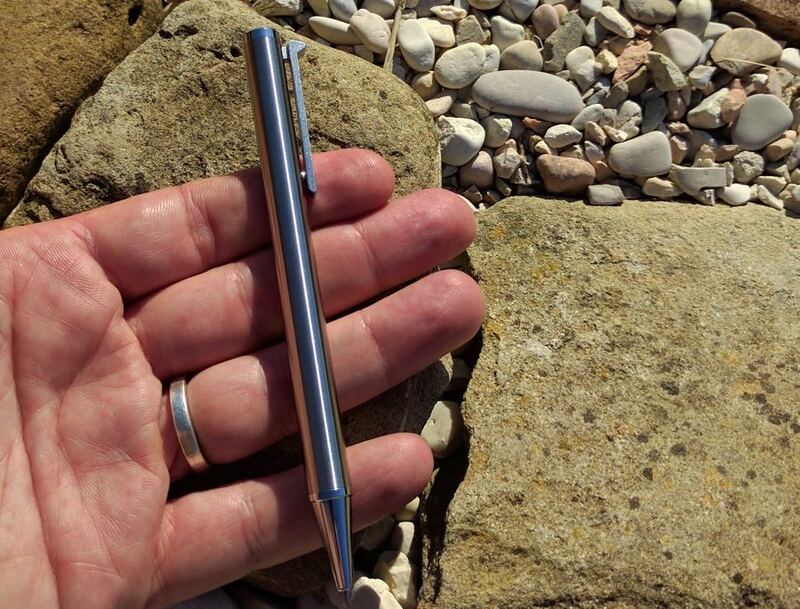 BN Works are just about to launch an Indiegogo campaign for what they describe as the One & Only Retractable EDC Pen. They sent me a review sample back in the middle of August so I’ve had a little while to try it out. 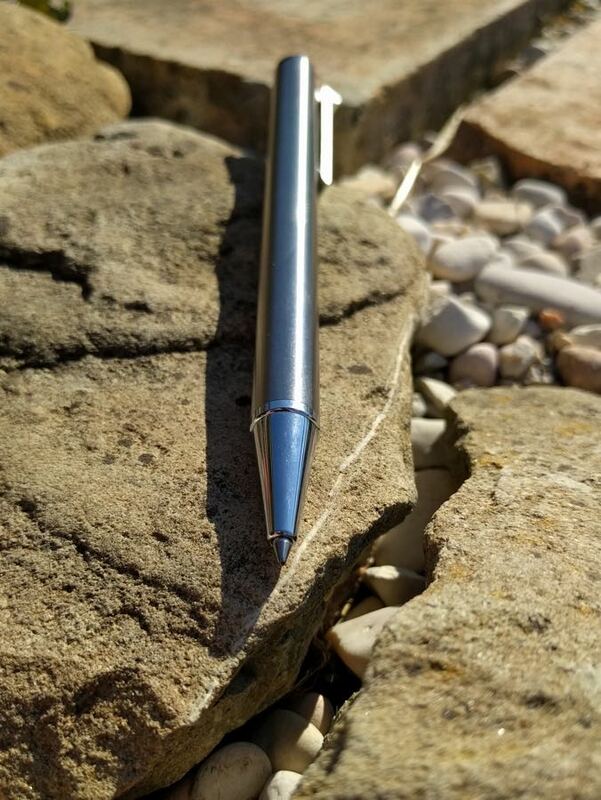 Let’s get the one and only retractable EDC pen claim out of the way first. Clearly there are many many pens that are retractable. Many of these you can, and probably will, carry with you every day. I’m sure there’s a way of defining the terms to make the statement true but I wish they hadn’t said this. It’s a distraction from what is actually a very good pen. 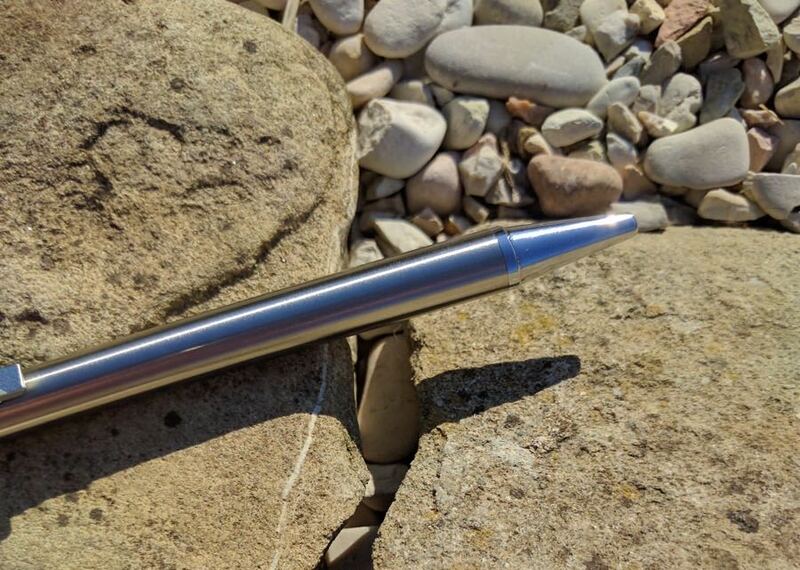 The barrel is made from stainless steel. 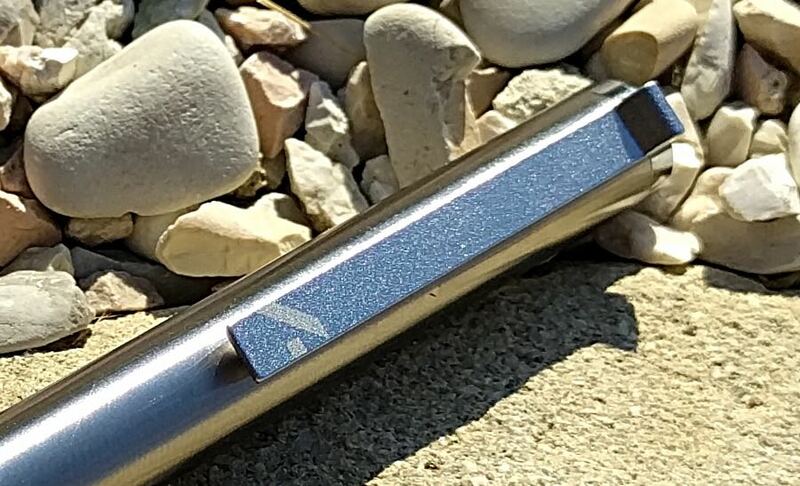 The silver finish on mine is excellent, it’s a brushed effect on the main part of the barrel and a shiny chrome-like finish at each end. It’s done well. Steel pens always look quite traditional and old-fashioned to my eyes and this one’s no exception. That’s not a bad thing and there’s a touch of modernity to the BNdot when you get to its clip. Furthermore, from the photos I’ve seen the black version looks very up-to-date. The clip is what makes this pen stand out. It’s strong and works well as an actual clip and it’s a fantastically well executed push mechanism, as well as looking great. 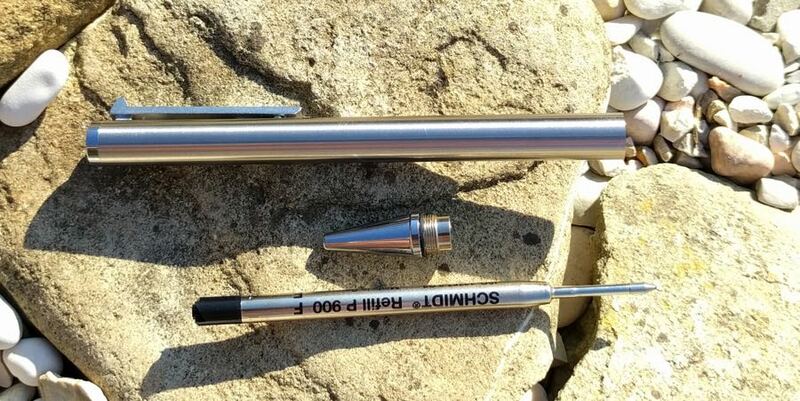 The included refill is a Schmidt P900 ballpoint. The P900 is okay. It’s fairly smooth, doesn’t skip too much, and isn’t gloopy. It’s nothing special though. 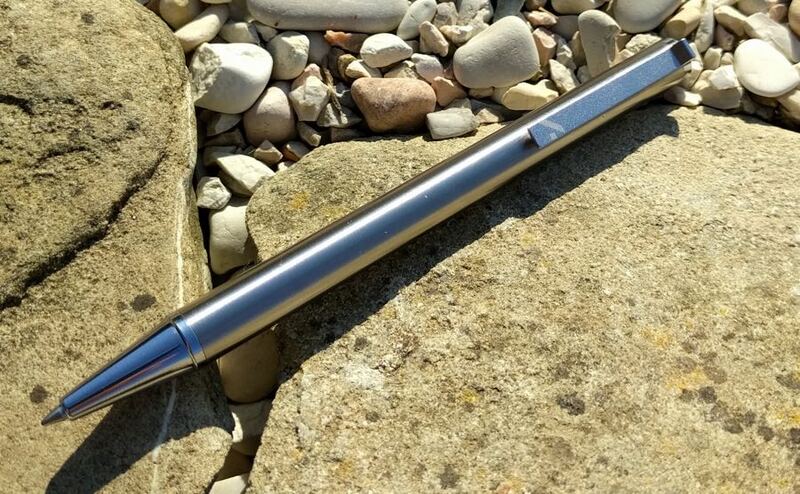 Fortunately it’s a standard Parker G2 size so there are lots of options including the excellent Schmidt 9000M EasyFlow, a ballpoint refill I actually enjoy. In the hand, the barrel is slim but quite unforgiving, being a simple cylinder with no contours or grip area. The cone is too short to hold comfortably. The BNdot isn’t especially uncomfortable, it’s plenty good enough for doing a reasonable amount of note taking. I’d rate it as: fine for a lecture or two; no good for a historical novel in three volumes. The BNdot is a great pen. The clip mechanism is really excellent, the build quality is extremely high and the finish is top notch. The early-bird price is very reasonable, too. I’ll be giving this review sample away but, funds permitting, backing the project so I can get my own. If you’re interested, the Indiegogo campaign launches tomorrow, Tuesday 20th September. This is the link but you won’t be able to see the campaign before it’s launched.